Avgeekery.com is an aviation news site where content is written and edited by its team of professional pilots and aviation geeks. Occasionally we syndicate content from the site if we think it will interest TPG readers. 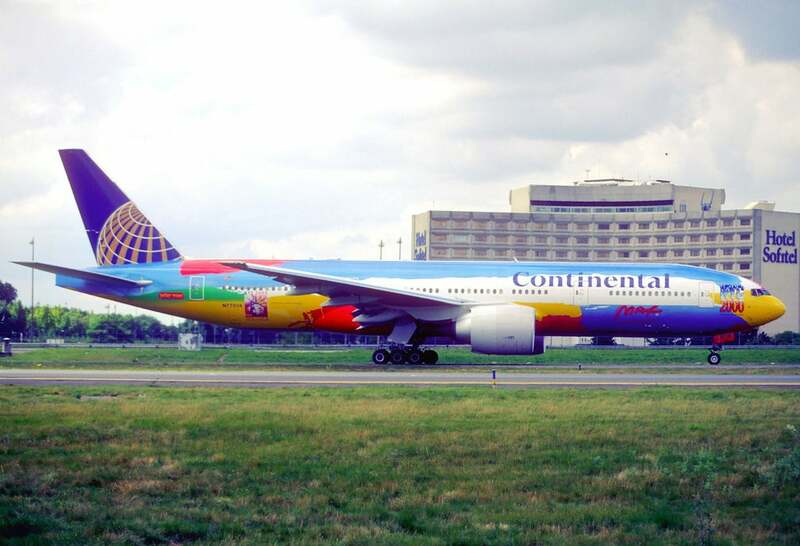 This article originally appeared on Avgeekery.com under the headline, The 10 Worst Special Airline Liveries Of All Time and was written by Holly Riddle, an Avgeekery contributor. 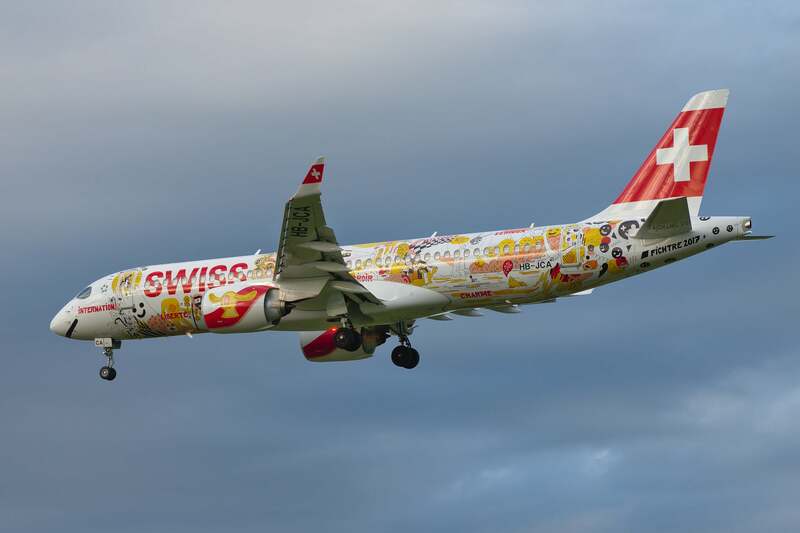 Airlines love to unveil special liveries to promote everything from tourism to cartoon characters. Unfortunately, some of these um… unique designs are a little hard on the eyes. Check out these 10, that may just be more cringe-worthy than the rest. Swiss outfitted its brand-new Bombardier Series CS300 in a special livery intended to celebrate Swiss Romandy (aka, western Switzerland). But really it just leaves us scratching our heads and asking why would you ruin a beautiful brand new CS300 with such a horrible paint scheme? The livery will stick around for a year, but some are already wishing it would go away sooner. Asian airlines offer some great luxury services, but they do come up with some particularly bad liveries. 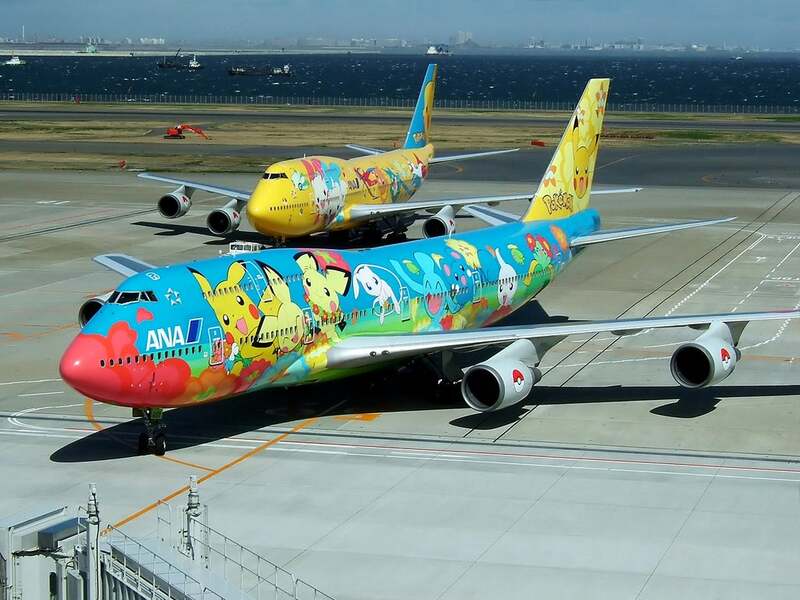 Take, for example, the All Nippon Airways Pokémon planes. This is one trend they’ve really worn out, with nine different Pokémon jets since 1998. The livery belongs in a day care, not an international airport. 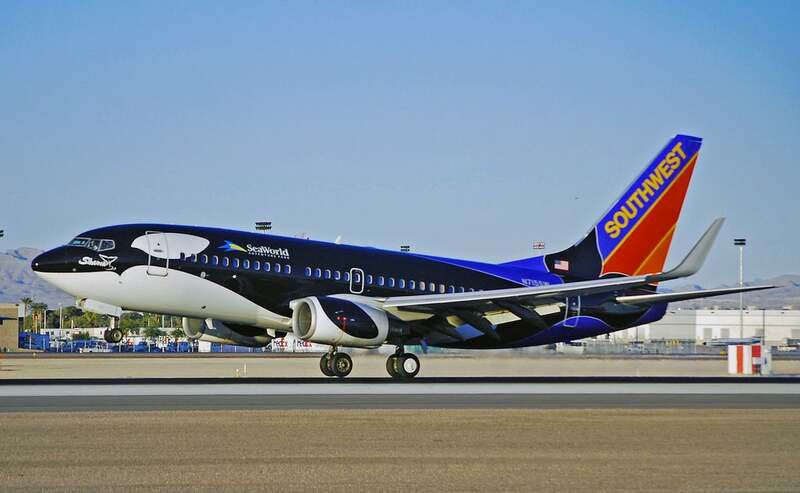 Southwest’s very first non-tactful livery debuted in 1988, as a giant killer whale, thanks to a partnership with Sea World of Texas. The airline would go on to introduce the Shamu Two and Shamu Three, with eventually five Shamu aircraft. After watching the movie Blackfish, it’s always a little awkward to see this livery. Fortunately, for the animal lovers on the site, the airline severed ties with Sea World and ditched the livery in 2014. Image by Tomás Del Coro/Flickr. 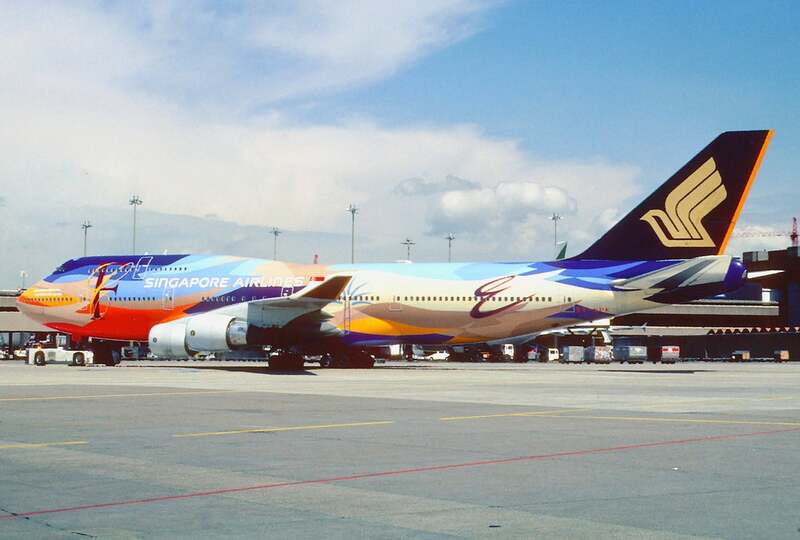 This Singapore Airlines Megatop 747 was involved in the first fatal crash for the airline, with 83 deaths after the crew took off on a closed runway during a typhoon. The paint scheme wasn’t very attractive and the carrier hasn’t painted an aircraft in a special scheme since. Continental Airlines commissioned artist Peter Max to decorate the “$160 million living canvas.” The result? A bright red, pink and yellow super jet declared the NYC Millennium plane, and a downright crime in color. The plane proved pretty popular though. So popular in fact that #AvGeeks created threads on forums to track where Peter Max was headed and posted photos. 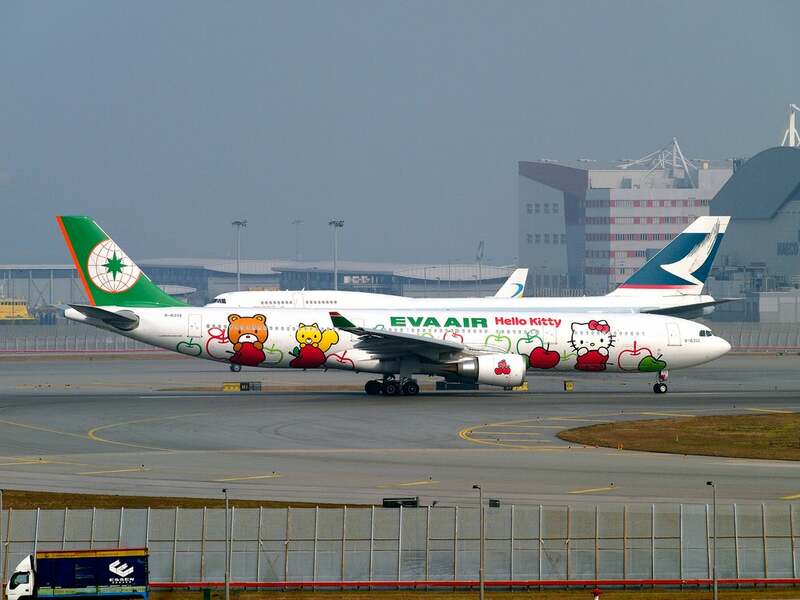 Just like All Nippon Airways, EVA Air has a thing for cartoons. Instead of Pokémon gracing the fuselage, they have Hello Kitty, not only adorning the entire livery, but also the interior as well. There are currently six different Sanrio-themed aircraft in the airline’s fleet. The intro video is torture too. Gag me! 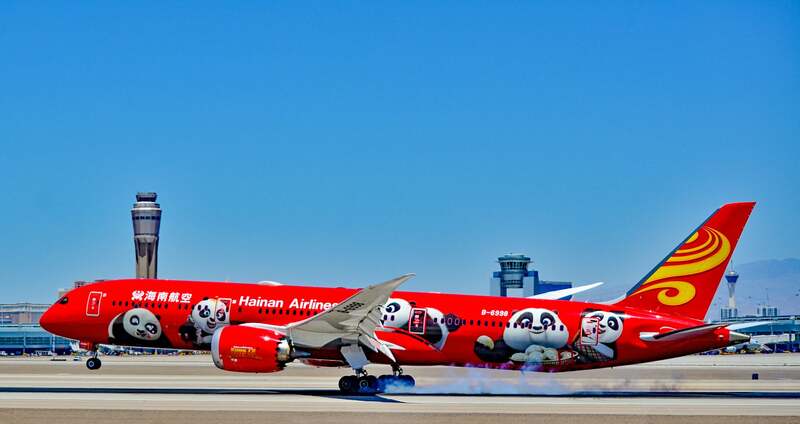 Hainan Airlines isn’t missing out on the cartoon livery party either, unveiling its third Kung-Fu Panda-themed plane in May. The Boeing 787-9 Dreamliners are difficult to miss, with bright colors and a chubby bear on each one. 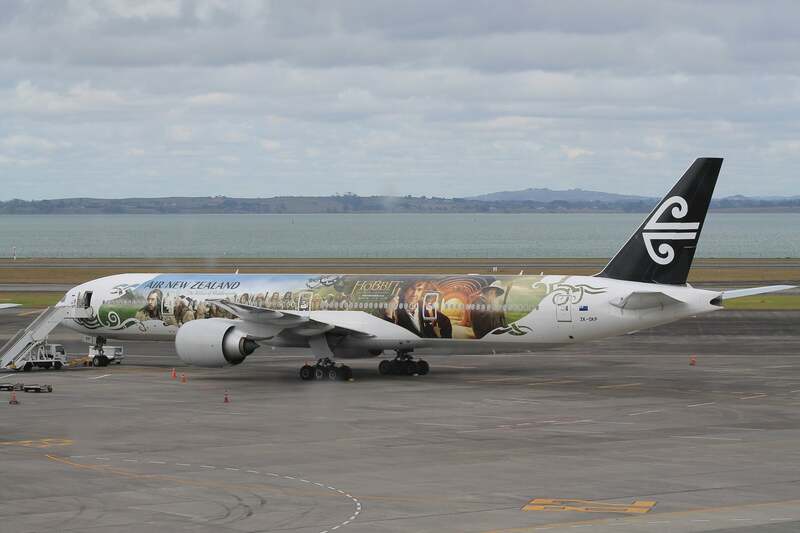 We all know New Zealand is home to Lord of the Rings and The Hobbit, but that doesn’t mean the country’s airline needs to take the faces of what looks like the entire main cast around the world with them. Image by Umedha Shanka Indranath Hettigoda/Flickr. 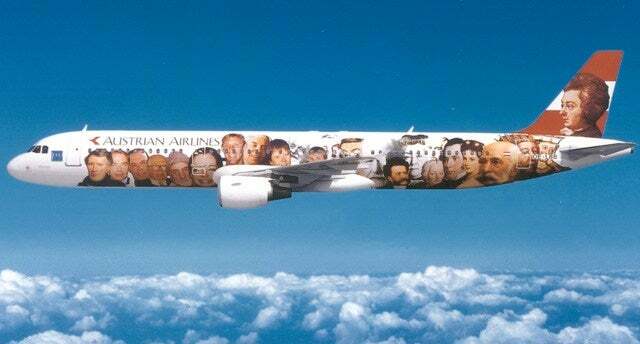 Another airline that dabbled in painting portraits of people on its fuselage was Austrian Airlines, but they didn’t stick to a movie cast. Instead, they went for many of the country’s “famous” past and present residents, with a huge Mozart head on the tail. It’s not the worst paint scheme ever… maybe just the second worst! Image courtesy of Austrian Airlines. Southwest took some heat for this livery, featuring a scantily-clad Sports Illustrated model on the fuselage of a Boeing 737, as part of a promo deal with the magazine. Passengers complained women wouldn’t appreciate their husbands seeing the imagery, saying the move was “trashy.” The livery didn’t last long. Don Draper, Southwest’s advertising executive at the time, was removed from the account. Image courtesy of Southwest Airlines. Do you have other terrible liveries that you love to hate? Sound off, below. Featured image by Tomás Del Coro/Flickr.